Listen to the first single "Saccade," featuring vocals from Julianna Barwick. The album was produced and mixed by Hauschildt & Irisarri at BKS last year. Steve Hauschildt first worked with BKS in Spring 2016, where the critically-acclaimed Strands was mixed and co-produced by Rafael Anton Irisarri. This new LP from the UK cellist, composer and producer follows his collaborative album with Mica Levi and his contributions to Laurel Halo recordings and Johnny Greenwood’s scores for Phantom Thread and The Master. Oliver Coates is best known for his work with legendary band Radiohead. Shelley’s on Zenn-La was mastered at BKS, both for vinyl and digital. 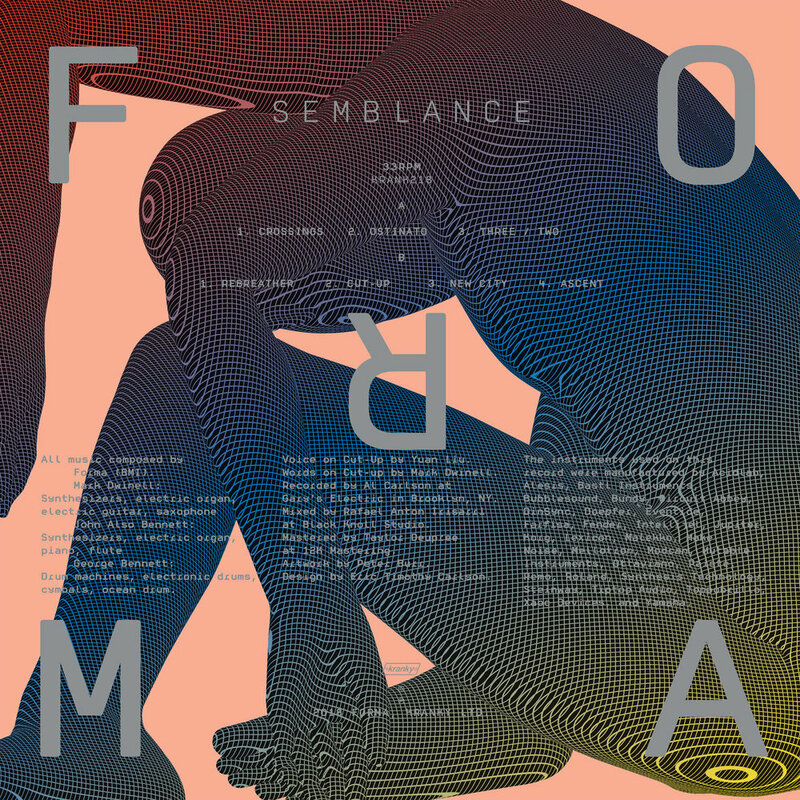 Brooklyn experimental trio Forma is reconnecting with Kranky to put out a new album called Semblance. It was mixed by Rafael Anton Irisarri at BKS last summer.